As initiates, it is important that we learn about the Rays of God and how to command them for ourselves and others within the Earth. Many individuals do not understand this concept, as it is a challenging one to grasp within the Concrete Mind. As we are shifting from the Old Earth into the New Earth, more individuals are awakening upon the pathway. This means that has a soul realizes there is more to their life and start to exhibit spiritual gifts (some may consider this psychic phenomenon), it allows for an open doorway to be more as an integrated soul within a physical body. We call this the Initiations of the Pathway of Mastery. Learning that we are gifted is only one small step in this huge pathway of light. Each of these individuals become initiates; some souls choose to stay where they are and not move further through the initiations, but with the New Earth approaching us more souls are awakening unto their mastery pathway from the soul’s perspective. This process is not an easy one to move from the 1st initiation through the 7th (Full Mastery as an Ascended Master). It takes us deeper into our Emotional and Mental bodies to clear the old elements that we have held as a soul which is referred to as Soul Psychology. This also includes our Etheric Body which is the soul body that remembers every act, thought, and emotion that we have held in that bodily function in all lifetimes or considered fragments of time known as Time-Lines. What happens through this process is that we start to remember all parts of ourselves and some of them are not within the Light as we have been on the dark also. It is part of our pathway on this earth to remember all aspects so that the Law of Karma can be rectified, as we become the Soul Beings of Light completely. Many individuals have a hard time releasing their Lower Ego as it has served our purpose from lifetime to lifetime. This can be exhibited in a low self esteem as a low ego or as one who has all the answers and won’t listen to anyone. It is also part of this process for these elements to appear so that they can be healed and the Higher Ego can be fully intact. Please know this is not easy and many individuals do not even know they exhibit a lower ego as they have been taught through the many lifetimes that it was necessary to have these energies fully intact. But that is no longer the way of living for the New Earth. Each of us has to get deep within ourselves, look at our dark energies, so that our Light can be fully illuminated within our four-body system of the physical, etheric, emotional, and mental. This will then allow the accessibility of the spiritual bodies to be fully Embraced, Accepted, and ACTUALIZED. The Rays of God known as Spectrums of Light from the God Source through the Elders that Surround the Throne of Grace as the cornerstone of accepting the mastery pathway within a physical body. They are given to us, as initiates, to help us understand ourselves on a much deeper level so that we can walk this pathway with the light and grace of an ascended being. The Elders ignite these energies unto the MahaChohan who is now Saint Germain then through the Ray Chohans. This is how we receive the frequencies through each ascended being along with specific Elohim Masters and Archangels. These rays have also been incorporated within our existence as a person on this earth. 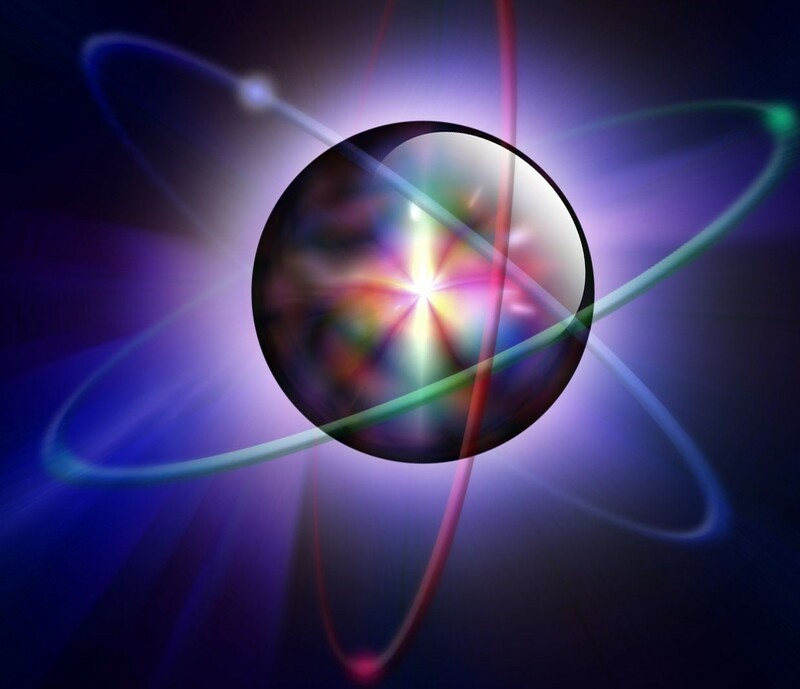 Each soul that arrives in a body brings forth one to three rays within the Personality, Physical Body, Emotional Body, Mental Body along with the Monad (group consciousness of Higher Selves consisting of 12 souls), and our I AM Presence (the group consciousness of 144 souls of Light directed from the Source of Creation). This means that as a human upon this earth we have the qualities of any of the seven rays within these aspects as stated above. They mold us into who we are, how we live and interact with others, what we do in our lives, and how we accept the roles that we, as souls, create within our existence. Many individuals will only have one ray in each of the aspects, but it can be up to three. Each of these rays has higher characteristics along with lower characteristics. They represent the ability as a soul to embody an essence that is going to help that person’s life or deter them from their true purpose. When an individual steps into the role of being an Initiate, there are steps that are achieved through each initiation (seven of them) which are considered “tests” of the soul to be initiated into the physical body that is guided by Lord Melchizedek (who oversees all initiates) and the individual’s Higher Self. The first four initiations bring forth the ability to full step through the four-body system. The higher initiations from 5 through 7 represent how an initiate brings forth what they have learned in the first four to create their pathway within the Light of God in all their dealings, living habits, environment, personal convictions, and giving service to others. Even though each individual is infused with certain rays to help them in their development as a human upon this earth, as a master, each soul must learn to command each of the first Seven Rays of God first and foremost. It is an essential component for their pathway. Within the New Earth energies we are now learning about the 22 Rays of God which takes us into the 5th dimensional chakra grid. This means that each of the rays becomes part of their daily ritual for the healing that they are working within their personal pathway. When an initiate first asks for the ray to assist them, the thought process is sent through the Ray Chohan and then to each Elder that represents that ray. It is then transferred unto the individual through their breath and into their physical existence (usually within the chakra of the corresponding ray); it goes into all parts of the four-body system. The Act of Initiating the Ray means that the individual calls upon the energies for it to be imbued within them through the breath. The Act of Activating the Ray means that the essence of the spectrum of light comes within their corresponding chakra, through their breath and into all of the bodies for it to be enhanced. The Act of Actualizing the Ray means that the essence of the ray becomes One within the Initiate. They embody the ray physically, etherically, emotionally, and mentally; thereby, the Higher Self is fully intact bringing forth that ray essence into the full body system. This does not happen until the 7th initiation takes place because a physical individual could not fully accept the ray within them as it would cause overload within their system. This is especially true of individuals that still have their Lower Ego intact. The Spiritual Hierarchy with the Elders and the Elohim do not allow this to occur until an initiate moves into the acceptability of full mastery. Now initiates can think that they are ACTUALIZING the ray but the true term is ACTIVATING the ray until the specific time that the initiate is ready to accept his/her role within the pathway of mastery that they are. It is at that time that the four-body system becomes United as One Body of Light to accept the role that the master is now ready to handle. When it is said that “One needs to command the Seven Rays of God,” it means that as an initiate of the 7th Initiation that individual has the ability to on command bring in that essence of the ray directly from the Source without the intermediary of the Ray Chohans, Elohim Masters, or Archangels. He/She is then directing this light force from the Council of 12 or the Elders directly within the God Force. As you can see, it takes great concentration and effort to be able to command these rays for self-healing or others, but is a necessary component for each initiate to acquire this skill. It is important to realize these elements because many initiates will think that they Actualize a ray which in fact is not true. The Lower Ego plays many tricks on the minds of initiates, and this is one that needs to be clarified in order to accept the challenge of working with the ray energies and the higher dimensional essences. The process of understanding must come from the Higher Mind so at time it becomes confusing within the concrete mind. It is essential not to get lost in these moments as they will deter an Initiate from truly walking through the process. We share this knowledge as it is important to ascertain what the definition of mastering a ray represents no matter what the level of awareness that an initiate is incorporating. Always remember that you are bringing forth knowledge from your Higher Self that you have used in the Etheric Body but the process of acknowledging it within the physical self becomes a much more challenging task. Take time to reflect and feel the energies instead of continually trying “to figure it out”. This should be your guidepost in every moment you are walking as an Initiate to Become the Master Within. To learn more about the Rays of God please check out Walking Terra Christa’s 22 Ray Challenge Program. If you are interested in receiving a Ray Reading with Master Djwhal and Rev. Meleriessee, please check out the Sessions Page. Walking Terra Christa is facilitating a new series entitled “DIVINE UNION OF THE SOUL” which will be a journey of the self learning how to access the Love and Wisdom from the Soul’s perspective. Lady Mary Magdalene along with Lady Isis (and many other lady masters) will be bringing their energies into this amazing program. This is a special seminar series as it is going to take each individual on a journey of their own self to find their True Essence to become manifested within their world. We, as humans, desire to have a union with a partner that represents this energetic exchange, but it cannot happen until we find our own true love essence within ourselves. This program is going to provide the tools in order to achieve this love within our self and with others. It is a journey in which Lady Mary is going to guide us in learning how we have forgotten who we truly are from the perspective of our pure beginning when we were created as a Soul from the perspective of the I AM Presence through the Creative Source of Oneness. Activating the Feminine Divine is an essential component to our living within the New Earth. This means that each individual whether they are female or male, must access this part of himself or herself completely and without reservation. Through the many lifetimes that we have experienced the veil of forgetfulness has been upon us, as we have had to experience great strife and darkness to understand who we are. People upon the planet at this time desire to know themselves more deeply and to receive love in a multitude of ways. Lady Mary with Lady Isis, which is over-lighted by the Divine Mother, will take us into a journey of our Soul’s Essence so that we can remember the beautiful Being of Light that we have been. This will help to remove the blockages and doorways that have blocked us from our full potential as it is NOW TIME TO DO SO. Tools will be given on how to get through the process of removing the constrictions that we have placed upon ourselves. Teachings will be shared on they whys and wherefores of the different types of relationships that we have with other souls along with learning how to forgive ourselves for staying stagnant when some of these relationships are just doorways to our future. We believe that this is going to be a very magical journey with these beautiful Lady Masters as they show us the way unto our Truest Essence of Light. It is the beginning of fully embracing the Divine Being that we truly are and learning how to accept how the challenges are truly doorways of opportunity into the New Earth energies. It is my Divine Pleasure to be able to host this amazing series of Love with each of you. I am looking forward to working with Lady Isis along with the host of Lady Masters and the Divine Mother igniting this energy. I believe that the time is now for individuals to understand how and why they are feeling as they are. I want this series to help each individual to learn more about themselves while understanding why they attract the people in their lives to assist them to be more. This world is very concerned with the role of Twin Flames and finding that One True Mate within their life that will assist them in their pathway upon the Earth. But what many do not realize is that the Divine Plan is for souls to find themselves within their Love Essence, to understand that a soul comes into their life to help them make these changes, and many times those relationships are not meant to last until that person is ready to receive their Divine Essence fully manifested within their physical existence. The pathway of the Soul is very complicated and I believe, that many individuals want to simplify their lives so they attract people who do not meet all the qualifications of a Divine Partner. In fact, they can truly represent just the opposite of what they want to have within their life. It is a matter of remembrance, going deeper into the Soul’s Essence to heal the wounds that need closure, in order to find the true gift within their Hearts. THEIR OWN SOUL’S HEART ESSENCE. We must understand that many individuals are searching so diligently for their Divine Partner that they have forgotten about whom they are as a person. The issuance of Love does not come from the sexual feelings that are ignited; they come from the Heart. When individuals step into a relationship and become immediately attracted by their physiological essence, then the true sense of Love becomes lost in the essence of Lust. This does not mean that a sexual encounter cannot be Divine because it truly needs to be with the right partner. The timing must be in alignment with who you are and the meeting of such a person must be from a Heart-Centeredness and not a sexual attraction. This is what has gotten lost in your world. Many twin flames are starting to meet with each other. That soul attraction should be based on the heart, by feeling a synchronous flow of ideas within each other. Many times it will be very platonic in the beginning and grow more deeply with each other. Relationships of this type will be commonplace in the New Earth. Since many are coming together now it is essential to have a sense of the self, understand one’s own Heart Essence, be able to feel the Love from the Self, and to find balance between the physical and spiritual essence. I want to share with each of you how to achieve these elements. You first consideration should be your own Heart Essence and what you desire for yourself with no other interactions from a physical condition. It must come from the Divine Source that you are. That is the True Love of the Self. Then, the partnership can start to be formed. So many within your planet want to find that partner due to lower thought forms such as feeling alone, wanting to be nurtured, or thinking that a sexual encounter will give you the love that you need. Yet, the main point is to understand why you need these elements in your life. Your partner should be the icing on your cake, not of the cake itself within you. This is why people get into trouble within their relationships. So this journey that we will take with one another will help you to look at yourself deeply, going into your core values of yourself, looking at the old relationships that have not worked while healing them deeply so that you can find your Divine Partner. But most of all, we want to share with you the essence of the Feminine Divine and how you can bring that level of understanding through your physical existence. This is a Journey of the Soul’s Heart to be remembered, cherished, and loved deeply. I look forward to working with each of you that will be joining us. 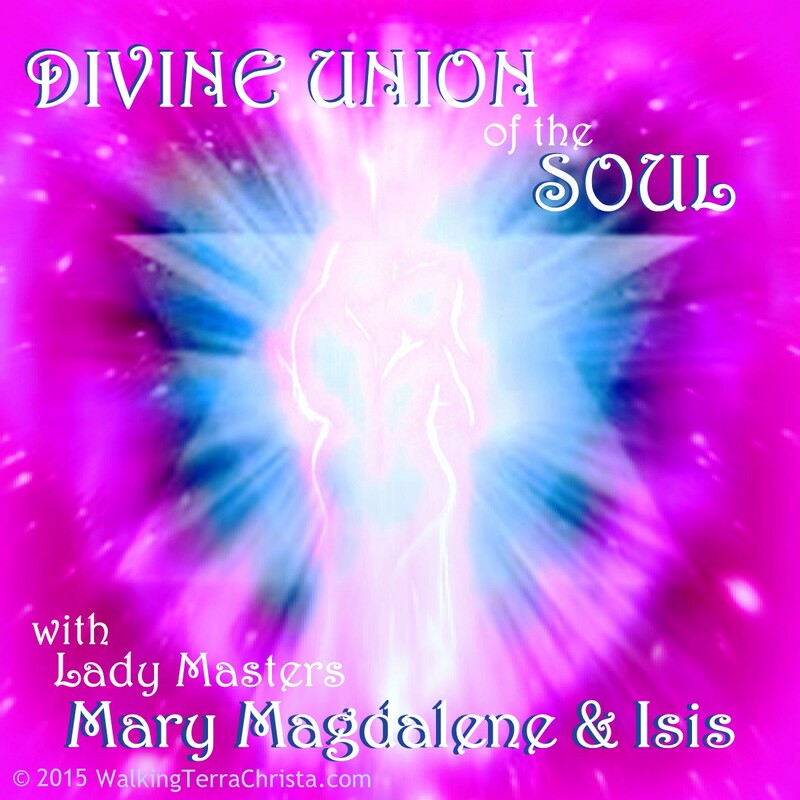 To register and learn more about the DIVINE UNION OF THE SOUL with Lady Mary Magdelene and Lady Isis, please use the link above. Our first class starts on Wednesday, February 11th, 2015. This series will entail five (5) classes throughout February and March. MP3 recordings are available for those individuals that cannot attend the LIVE class(es). On February 3rd, 2014, 3:10 PM Pacific, 6:10 PM Eastern (23:10 GMT) we experience the Full Moon in February which brings for the essence of Leo within the sun sign of Aquarius. 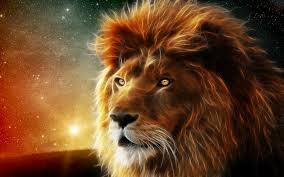 This full moon brings us the essence of an upsurge of an energetic push which represents the Lion within us. The lion can represent our lower egos, wanting control of our lives, being aggressive, and seeing things from the way we have done them in our past. 2015 represents the year to access the Divine Love within us, and this moon helps us to go deeper into that reflection. It is bringing in this push from the ruler of the Lion which is usually very fierce pushing through many doorways that others would not be able to achieve. This energy is softer but still so very powerful. As each of us strives to live a better life within the 5th dimension, this moon is going to assist tremendously in removing the aspects of the lower ego that have a tendency to get in the way. As we connect more fully with the essence of this moon, our Higher Self has an open doorway to achieve the same results of the Lion but with compassion, love, and within a synchronistic wave of light. This does not mean that it is going to be easy; in fact, this essence will still push us to go deeper, purge into our lower ego self, so that we can fully accept our Divinity of Love and Light within our physical existence. As we work with the higher essences of this moon of Leo it allows us to become personally involved in our pathway so that we may extend those characteristics into our outside world. It allows us to give service to the planet while assist our personal pathway of mastery just by doing the work within ourselves. It is important to fully reflect within our core essence to look deeper within the way that we interact, the way we feel, and think about whom we are. The Lion is coming to us to access the higher part of our consciousness to be fully grounded within our physical conditioning. it is about becoming inclusive within ourselves for our own healing and then being able to share it with others. It is imperative for each of us to reflect these particles of light and darkness within ourselves during this full moon. Otherwise, the resultant energies can be very intense and cause great emotional and mental pain. The more that we are ready to receive this new essence of this month, the more we will be able to accept our Higher Mind within the Lower Mind which will result in changing the status of the ego from the lower frequency into the higher element. Walking Terra Christa is holding a Sacred Full Moon Ceremony on February 2nd, 2014, at 4:30 PM, Pacific (MP3 file is available within 24 hours) which will infuse the ability to connect with all of these energies to help ground them into each of us and within Gaia’s essence. We are now fully working with Master Djwhal Khul to infuse each of the full moon ceremonies from a perspective of the Spiritual Hierarchy and his work. This month brings for these characteristics we spoke about along with the Rays of Love and Wisdom, Harmony and Beauty, along with Ceremonial Structure and Magic to help ground these frequencies within each of us and within the earth. Many blessings for a beautiful full moon experience.